Our government is currently involved through the European Union in negotiating a Free Trade Agreement of unprecedented scale between the US and European Union. This is the Transatlantic Trade and Investment Partnership (TTIP). It may sound pretty unexciting but it could have major implications for health and safety regulation and unions throughout Europe need to be on their guard to ensure that we protect what we have. Whilst politicians and negotiators originally indicated they wanted to conclude negotiations in 2014, it is in practice unlikely that they will even be concluded in 2015. 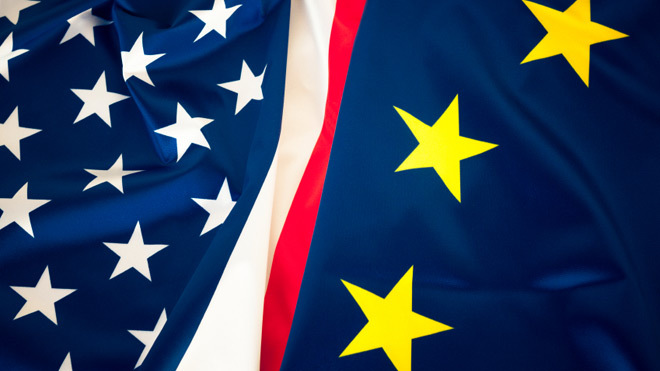 In addition to reducing tariffs and increasing protection for transnational investors, TTIP also aims to remove regulatory barriers that it is claimed restrict profitable trade between the US and EU, either by harmonising them or through mutual recognition. These ‘barriers’ are what unions call “protection”. According to the European TUC the agreement could have “enormous implications” for workers regarding employment policy, social security, environmental protection, occupational health and safety protection and the protection of minority rights. The ETUC also has concerns over the way this treaty is being negotiated. Transnational corporations have had frequent opportunities to lobby the EU Trade Department about the treaty and the ETUC has demanded equal access for trade unions. As with all bilateral trade negotiations (and unlike multilateral deals like the WTO), the detail of on-going negotiations is largely kept from MPs, MEPs, as well as the public. There are a number of aspects which could impinge on health and safety regulations and standards. It is possible that TTIP will include provisions to allow companies to sue governments in secretive courts. Within similar bilateral treaties worldwide, these investor-state dispute settlement (ISDS) rules have already been used by corporations to sue governments in cases where they feel they have not had “fair and equitable” treatment – and this includes labour standards. In one recent example, Egypt is being sued by the French multinational Veolia for raising the minimum wage. The Labour Group on the European Parliament is so concerned about this possibility that they have demanded that, if ISDSs are included in TTIP the European Commission must ensure the ‘right to regulate’ in areas such as employment law and health and safety, is respected. 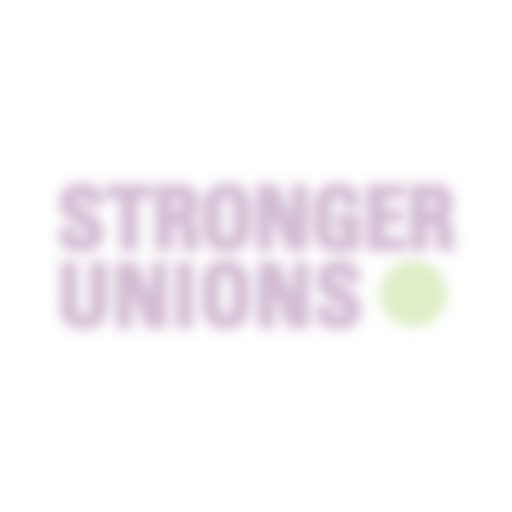 Pressure from unions and others has forced the Commission to consult publicly on this issue and the TUC Executive is considering our submission on 12 May. Even if TTIP does not include ISDS rules that can be applied to safety standards, it could have a significant effect on health and safety regulations and unions should be campaigning to ensure that it is not used to undermine any existing regulations, or prevent any further ones being passed. The EU has, on average, one third of the workplace fatality rate of the USA. In part that is down to the stronger regulatory framework, underpinned by the 1989 Framework Directive. Europe has also, more recently, developed stronger Chemicals regulations in the form of REACH. TTIP could result in the harmonisation of many health and safety regulations, including Chemicals, or introduce a system of mutual recognition which would have the effect of harmonising standards down to the lowest common denominator. At the very least TTIP might involve a process for examining current and future regulation at transatlantic level. A 2013 study by OECD into existing “International regulatory Cooperation” was extremely critical saying that it was “mainly guided by political considerations and not informed of a clear understanding of the benefits etc.” The emphasis on all previous attempts to harmonise regulation has been to benefit business and trade. If this were to happen to health and safety regulations as a result of TTIP this could, quite literally, be disastrous. EU Commissioner De Gucht has insisted “we are not lowering standards in TTIP. Our (EU) standards on consumer protection, on the environment, and on data protection and on food (e.g. 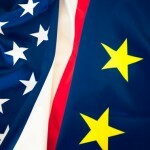 importing hormonally-enhanced US meat into the EU) are not up for negotiation”. In practice however there is a risk that existing standards could be undermined and certainly future safety regulation might be harder to get through at either national or EU level if TTIP goes ahead without proper protection. As the discussions are taking place behind closed doors it is difficult to know what proposals are being developed but leaked papers do give an indication. In December 2013 a Commission document was leaked which proposed to set up a “Regulatory Cooperation Council” which would assess existing and future regulations on both sides of the Atlantic to work towards mutually acceptable standards, and a procedure where a comprehensive system of consultation would be triggered if new regulation is proposed, or if regulation already in place has a “significant” impact on trade. Many of the proposals seem to have come from the Chemical Industry who are mounting a campaign aimed at slowing down or stopping any new regulations on safety or environmental grounds, but they would cover all types of health and safety regulations. Unions should be campaigning for a tripartite approach to workplace safety in any regulatory process, with involvement of unions and business interests right from the beginning. We should also be calling for guarantees that any TTIP will be used to raise (rather than lower) standards of protection (and enforcement) on both sides of the Atlantic. Finally we should campaign to ensure that, if we cannot prevent the inclusion of ISDS, the rules governing such dispute resolution fully endorse the “right to regulate” on health and safety. Another concerning article & thankyou Hugh Robertson for this update. I would not under any circumstance want to see hard won H&S, working & environment regulations compromised under the guise of ´´better´´ synchronised business & trade agreements between Europe & the USA. What makes me even more suspicious is that these negociations are taking place ‘behind closed doors’! Great article, if a little narrow in scope. Yet this is the best the TUC can do. Let’s hope that the congress votes of individual unions force something stronger at the TUC Congress. Not that a Congress vote, even unanimous is any guarantee of action by the TUC bureaucracy: It still hasn’t happened in relation to the vote several years back to publicise and oppose the EU/India Free Trade Agreement. With Indian elections settled, this deal, involving nearly a third of the world’s population and set to devastate EU working conditions, may raise its ugly head again v quickly. its an opportune time for the TUC to belatedly fulfill its mandate on that. As predicted the Labour (S&D) group in the European parliament have backtracked from demanding ISDS out of TTIP, to some ill-defined demand, lacking any red line, in regard to the right to regulate. No wonder people are reluctant to vote for them, even when the main alternative is so bad. 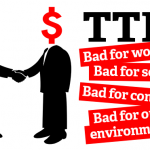 ISDS is dead and TTIP is about to fail. But what about the ability of unions to put their items on the international trade agenda? Why are unions so weak in Brussels, too weak to get international agreements on work safety and labour protection? Why do they show presence only in the irrelevant playground committees of the European Parliament?